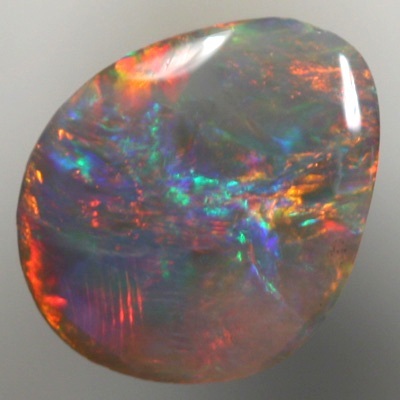 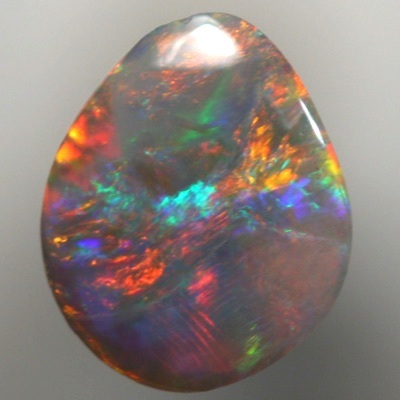 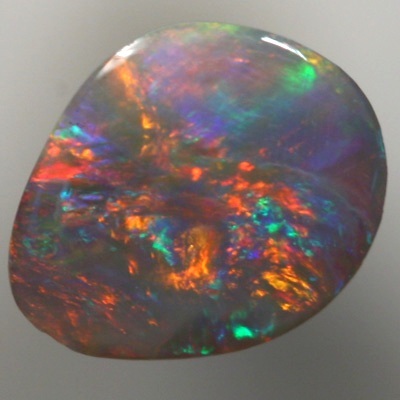 Bright red moves in rolling flashes over green and blue move brightly over the opal as it is turned. 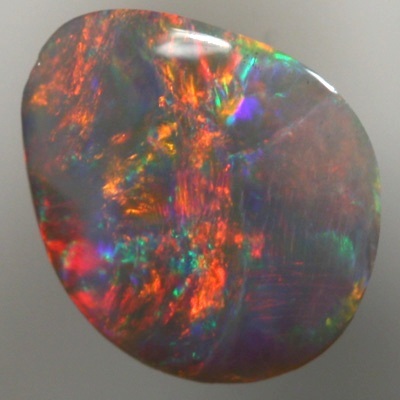 Dominated by red, the play-of-colour is dynamic. 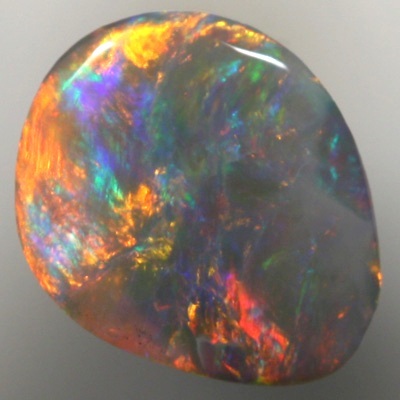 This would make a gorgeous ring.